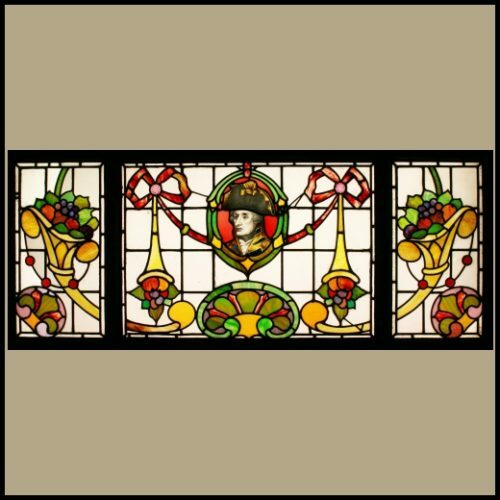 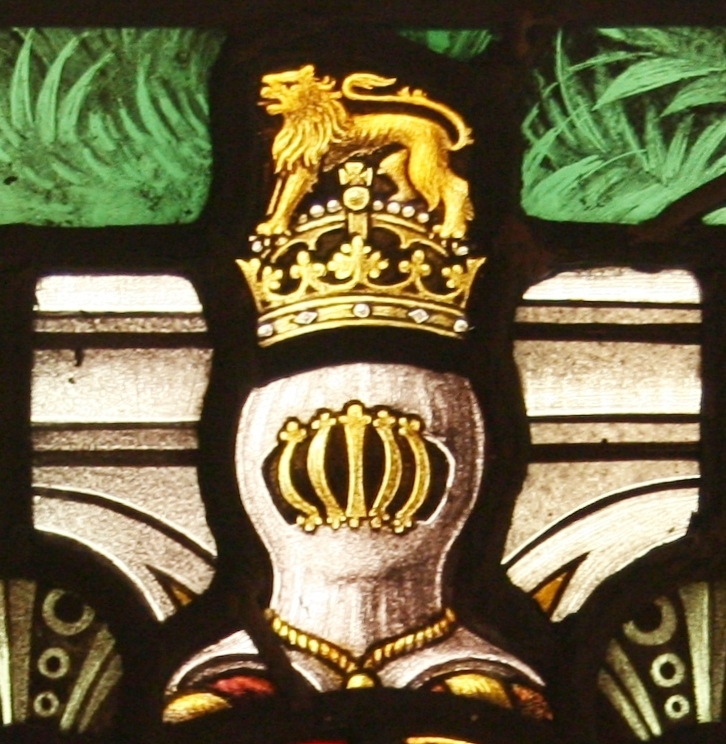 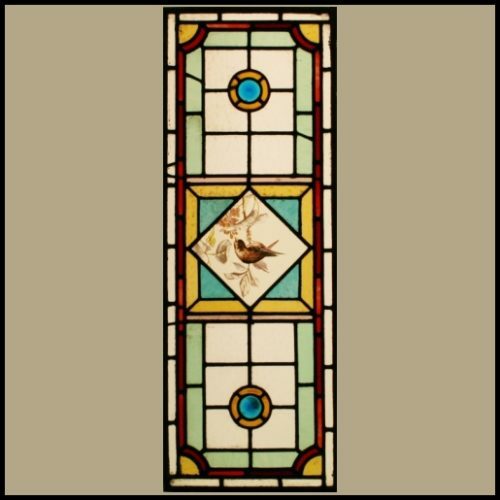 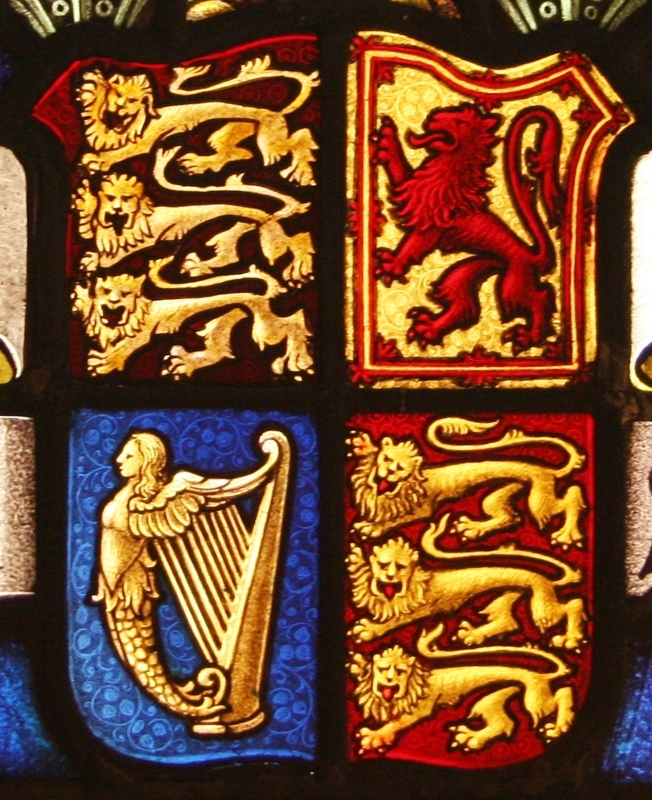 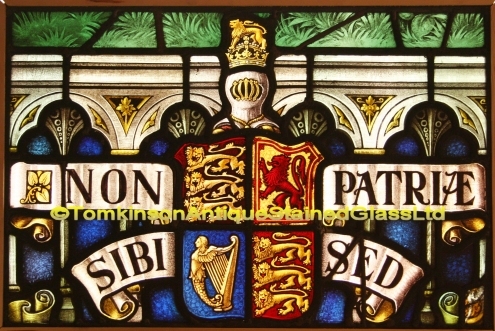 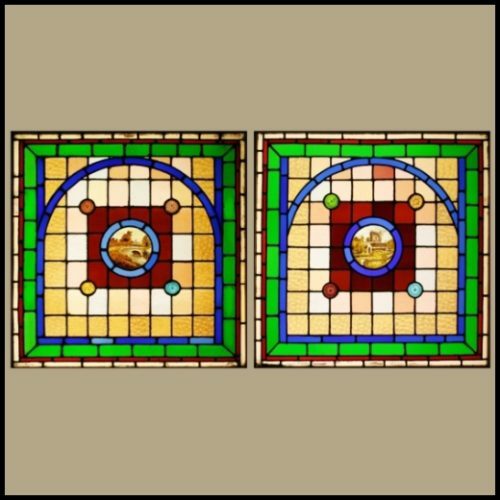 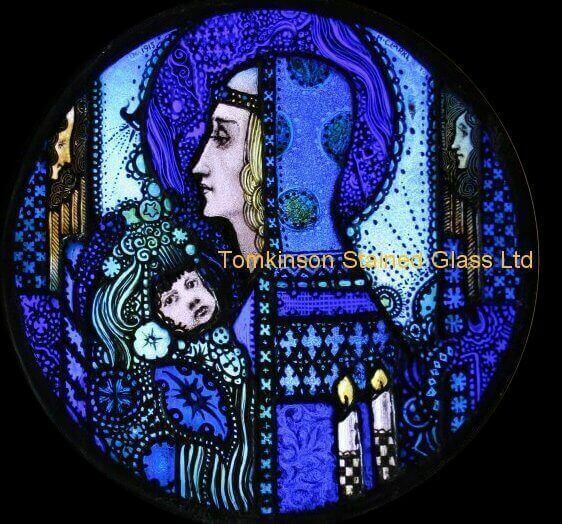 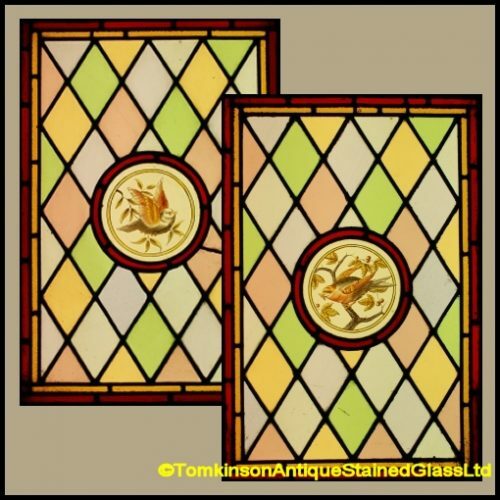 Antique Edwardian stained glass predella panel (glass panel under the main subject window) hand painted with a central shield depicting 3 English lions, red Scottish lion and the Irish harp. 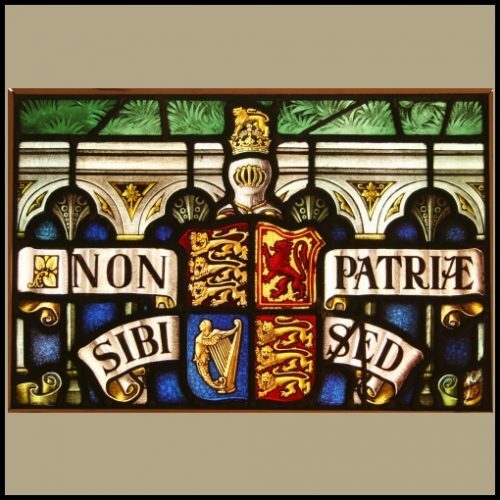 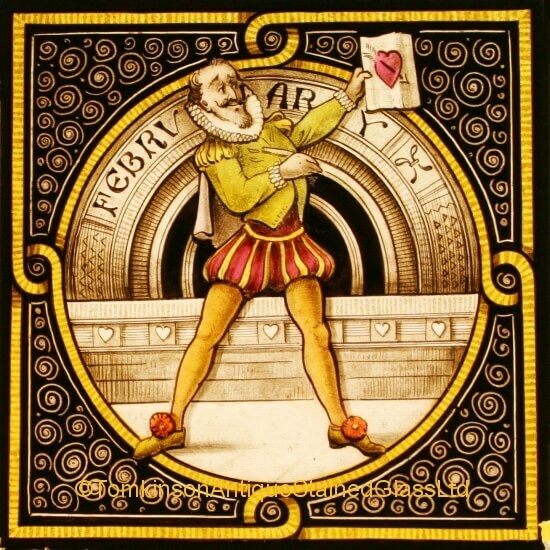 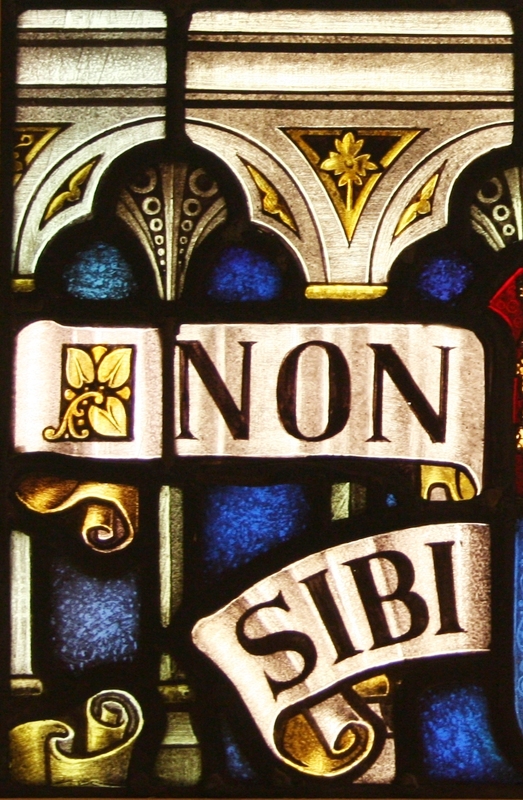 A latin inscribed scrolls around the shield say “Not For Self, But Country”. 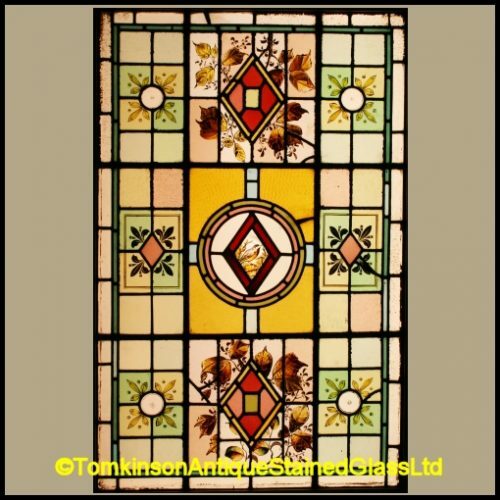 Slight lead strap restoration which has kept the panel in original condition.